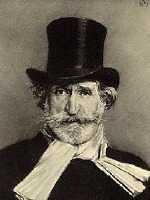 Verdi Saturday 13 September at 8 p.m. This great work, more akin to an opera than a church service, was the subject of a choral workshop led by Oldham Choral Society and augmented by other singers from the north-west of England and beyond (as far afield as the Isle of Man and Malta). The event was fully subscribed and the culmination was a performance in Chester Cathedral with a choir of nearly 200, international soloists and the East Lancs Sinfonia. Nigel Wilkinson conducted and also led the workshop sessions with the aid of accompanist Angela Lloyd-Mostyn. After the concert, numerous messages of appreciation were received from visiting choristers and audience.